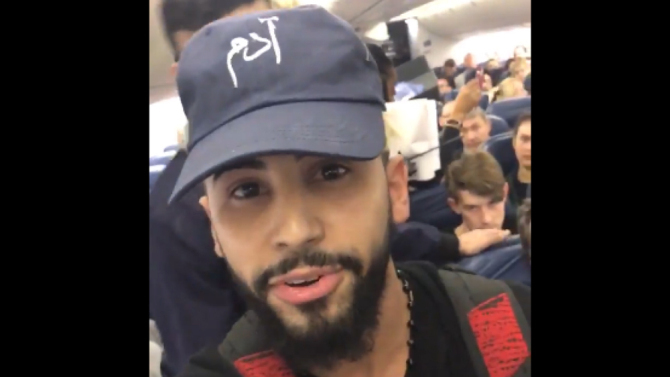 Despite social media and the mainstream media colluding in a campaign against “fake news”, which the DNC largely uses as a scapegoat for Hillary Clinton’s loss, Tuesday’s viral video of Adam Saleh being kicked off a Delta airplane for speaking Arabic on the phone was in fact legitimately fake news. Last night, Delta released a statement after collecting statements from multiple passengers, further corroborating this was an attempt to gain social media clout and promote a false narrative. For further evidence Adam Saleh should’ve never been considered a reliable source in the first place, and one needs to only look at his social media history to understand why. A 9/11 Truther, defender of the 2013 Boston Marathon bomber, and enthusiast of Qatar, a country that enslaves thousands of others from across the Middle East and a state sponsor of the Muslim Brotherhood and Taliban – that’s the new hero of the mainstream media and the Regressive Left. Unfortunately the hypocrisy coming from these groups is not surprising at this point. While the popular narrative is that there is an epidemic of hate crimes against Muslims, according to hate crime statistics kept by the FBI, Jews are the primary victims of religiously motivated hate crimes. Ben Shapiro, fierce critic of both radical Islam and the alt-right, was the #1 journalistic target of anti-Semitism this past year, but as he goes against the popular narrative, the mainstream media had little sympathy for him.